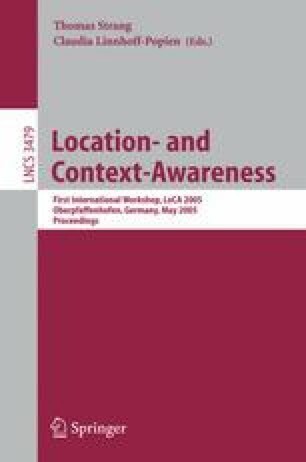 In this paper we identify the common techniques and technologies that are enabling location identification in a ubiquitous computing environment. We also address the important parameters for evaluating such systems. Through this survey, we explore the current trends in commercial products and research in the area of localization. Although localization is an old concept, further research is needed to make it really usable for ubiquitous computing. Therefore, we indicate future research directions and address localization in the framework of our Smart Surroundings project.